Kashmir is an emerald valley, cradled in the Himalayas, under crystalline blue skies, and against the backdrop of snow capped mountains. It has been praised enormously for its beauty aptly called " The Heaven on earth" . or under the soothing shades of Mighty Chinar Trees. Chanting Aloud "JAI MATA DI" (HOLLY MOTHER ) thousands of pilgrims chanting it during the NAVRATRAS in March April and September October to reach the Shrine a trek of 15 kms from Katra. The path has been paved and facilities of drinking water, snack bars, medical aid. There are also Helicopter services from Jammu to Katra and also from Katra to Shrine’ Excursions: Aknhoor, 30 kms a picnic spot on the river Chenab. Pahalgam: 95 km. east of Srinagar, 2400 mts above sea level. Popular holiday resort. It is called “Shepherds village” at the head of the Lidder valley. Best place for trout fishing. Apart from angling , Pahalgam is also known as the starting point for trekking. Pilgrims route to Amarnath Cave. Gulmarg: 56 kms from Srinagar, one and a half hour journey, 2690 mts above sea level. .It is called “Meadow of flowers”. In summer best for trekking, golfing and pony rides . One can have beautiful walk around and can see in good weather the high mountains like Naga Parbat (In Gilgit) 7650mts high, Kolohi and Harmukh which are 5425 and 5124 mts high.Gulmarg has the world’s highest green golf course in the world. There are cable cons that ferry the tourists up to the height of 3095 mts. (Gondola). Sonmarg: 87 km. from Srinagar, 3 hours journey, 2800mts above sea level. It is called Golden meadow” at the head of the river Sind with beautiful mountains and glaciers. Base for the treks to Harmukh range via Nichnai, Vishensar Lake, Gangabal and to Nara Nag . Also the Pilgrim route to Amarnath Cave , which can be done in one day from here. Famous for Trout fishing. Shalimar Bagh: The Abode Of Love.’ Is said to have been a village, built by Paravarassna II. He used to stay here when on a visit to Sukhswami a saint living near Harwan. In 1619 Jehangir ordered a garden to be laid out this spot, calling it, Ferrah Bakkash (Delightful). In 1727 A.D Zaffar-Khan. A governor during the reign of Shah Jahan made an extension of it and called it ‘Faiz Baksh’ (Bountiful). The garden is laid down in four terraces, rising one above the other. A canal runs through the garden lined with polished stones and supplies with water from Harwan.Chasma – Shahi : East of Srinagar. Built in 1634 A.D by Shah- Jahan. It commands a superb view of the Dal Lake it has the advantage of having a natural spring of Pure, Cool and Sparking water known as Chasma- Shahi (Royal Spring). Cheshma Shahi: Cheshma Shahi is one of the three major Mughal Gardens in Srinagar. It is located 9km from Srinagar city centre, and is the first Mughal garden that you would visit as you pass the Nehru Park. The name Cheshma Shahi means Royal Spring (shahi means royal and chashma means spring).Cheshma Shahi is small and charming. It was laid out by the Mughal Governor Ali Mardan Khan for Emperor Shah Jahan, the ruler famous for building the Taj Mahal, in 1632. Shah Jahan built a pavilion and laid out the Mughal garden in three terraces, each above the other by 18 feet. Cheshma Shahi is famous for the pure and refreshing spring that flows from it. Built at a height above the city, Cheshma Shahi offers a great view of the surrounding area with the Zabarwan hills behind it. Parimahal ( The palace of Fairies): It was a school of Astrology built by Dhara Shikua, Shah Jahan’s eldest son for his tutor Muhlah Shah. School of observatory. Shankaracharya Temple: This Temple is situated at the height of 1000ft above the plain. The earliest of all the Temples built in 200 BC,. By Jalaka the son of the Great Buddhist convert Ashoka. The temple was subsequently rebuilt and dedicated by Raja Gopadittya in 6th Century. It is said to be that “ the Takhut-I-Sulaiman (throne one of the Solomon). Nagin Lake: Popular for water sports like water skiing, swimming, diving and sailing. Manasbal Lake: This Lake is famous for Lotus flowers during summer and Paradise for Bird Watchers,. Between the river and foot of the Mountains spurs lower end of the Sind valley famous for Picnic spot. 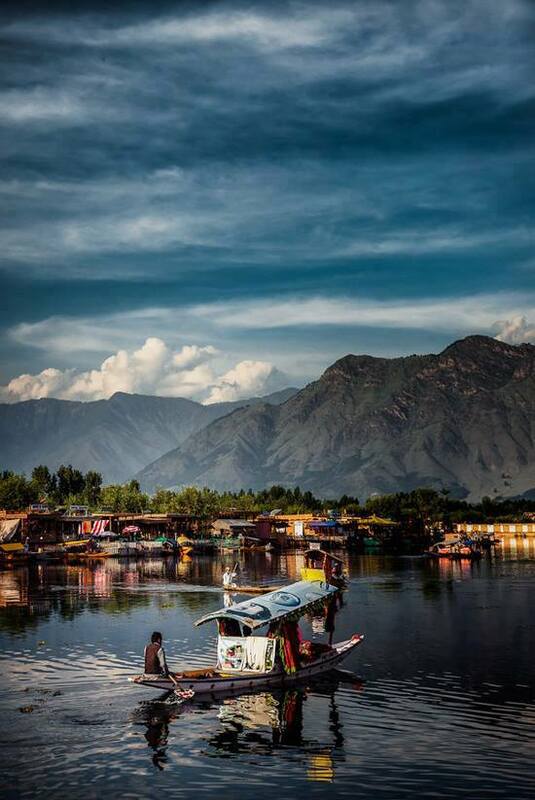 Wular Lake: The Largest fresh water Lake in India 26 Km long and 8 Km wide. Surrounded by the mountains. The river Jehlum passes right through the Lake the deepest part is near the Hill Called Baba Shakur-ud-Din on the north west side. Anchar Lake : The Anchar Lake is a swampy area. The Sind Nullah enters this lake from one side and flows out from the other. It is about 8 Kms long and 3 Kms. wide. Gandarbal is a famous township on its north-west bank.. Anchar Lake is a bird water's paradise where you will be able to watch and identify many species of birds, some of them on their way to extinction. On the banks of this lake is situated Soura with SKIMS, Buchpora, Ahmad Nagar, Pandach, Nagbal and finally Ganderbal. Toulmul and the Mansbal lake is farther north, infact northeast near the bottom of the mountainsThere are many other lakes besides these like Harvan Lake , Konsarnag or Vishno Pad Lake. Gangabal Lake, Sheshnag Lake, Neelang Lake, Tarsar and Marsar lakes, Sokh and Dokh lakes. to visit in Kashmir compiled by the weekend leader.